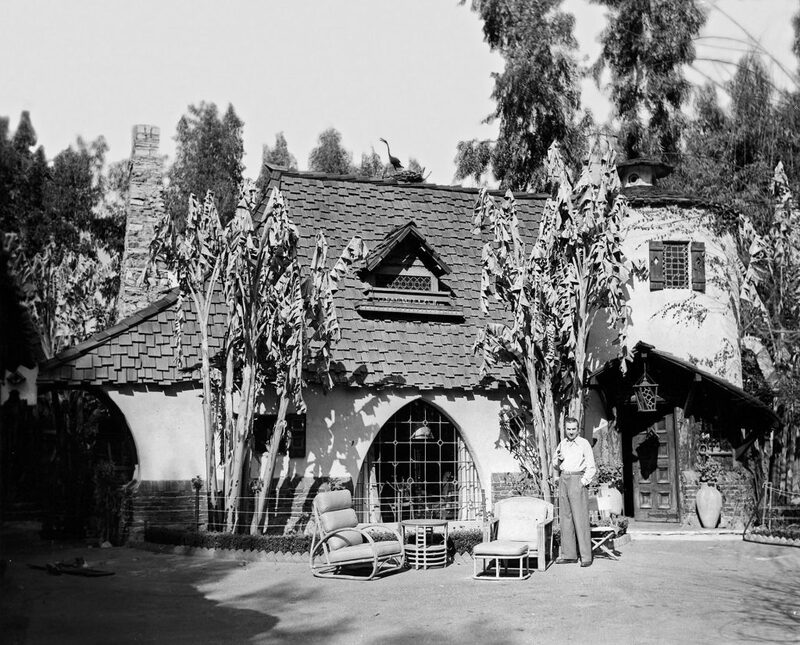 From 1931 to 1934, Boris and Dorothy Karloff lived in a Spanish bungalow on Toluca Lake Avenue, not far from the Universal lot where he would make his most famous films. Frankenstein was released shortly after they moved in, catapulting Karloff to stardom. Over the next few years he appeared in more than a dozen movies, including The Mask of Fu Manchu, The Mummy, The Black Cat and Scarface. 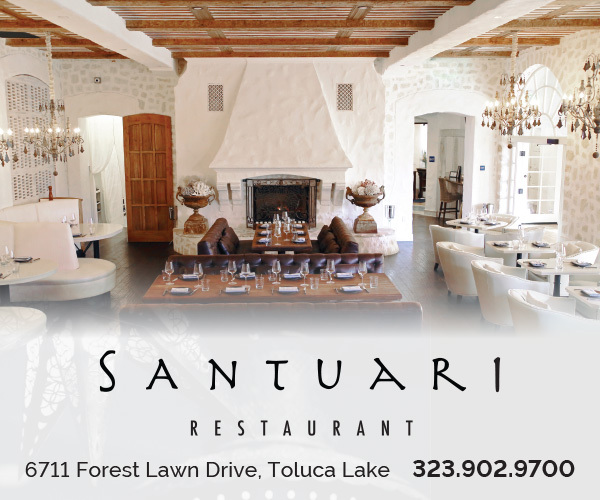 In 1933, Karloff’s Toluca Lake house was also the site of one of the first meetings leading to the creation of the Screen Actors Guild, of which he was a founding board member. His concern for protecting his fellow actors from exploitation and unsafe working conditions was shaped by his hellish experience behind the scenes of Frankenstein, where he endured gruelingly long days (including one session in which he was required to work 25 hours straight) and laborious stunt work that left him with a permanent back injury. 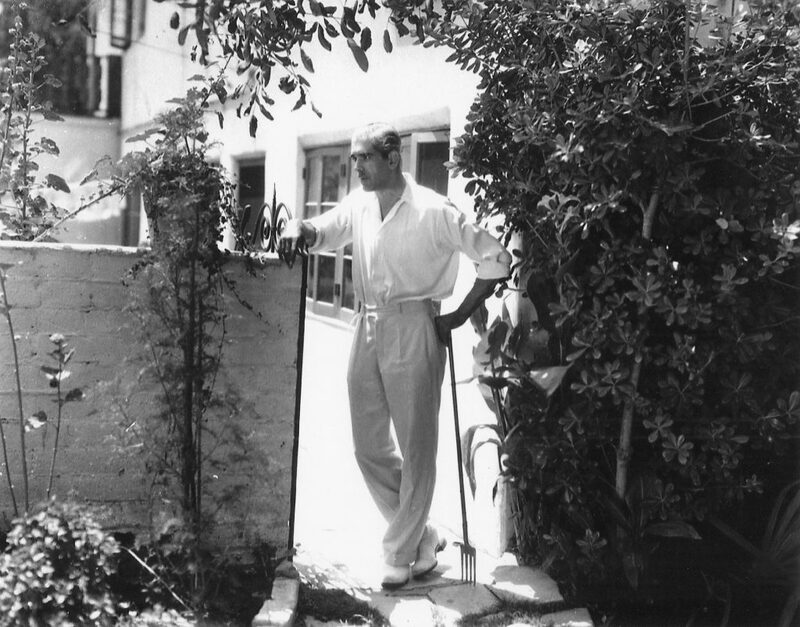 Bela Lugosi at his North Hollywood home. Photo courtesy of Bison Archives and HollywoodHistoricPhotos.com.